In 2015, SpaceX made a number of modifications to the existing Falcon 9 v1.1. 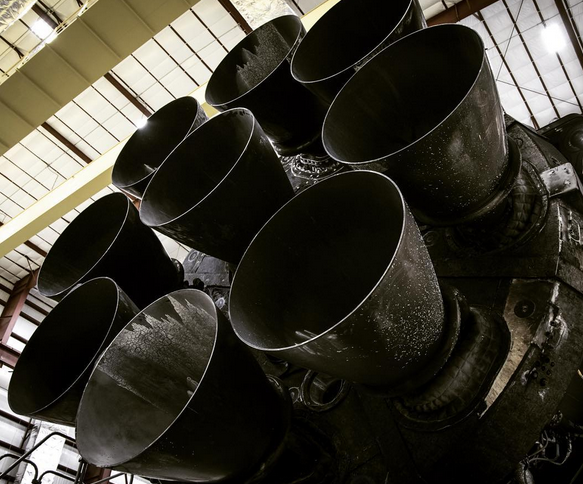 The new rocket was known internally as Falcon 9 v1.1 Full Thrust, and is also known as Falcon 9 v1.2, Enhanced Falcon 9, and Full-Performance Falcon 9. A principal objective of the new design was to facilitate booster reusability for a larger range of missions, including delivery of large commsats to geosynchronous orbit. Modifications included liquid oxygen subcooled to −206.7 °C and RP-1 cooled to −7 °C for density (allowing more fuel and oxidizer to be stored in a given tank volume), several size and volume changes to the first- and second-stage propellant tanks, and several small mass-reduction efforts. The modified design gained an additional 1.2 meters of height, stretching to exactly 70 meters including payload fairing.